"Suddenly she whirled from the window and stood before the glass. Her eyes were shining brilliantly. but her face had lost its color within twenty seconds. Rapidly she pulled down her hair and let it fall to its full length." This beautiful imagery comes from O. Henry's first story The Gift of the Magi. This is the main Christmas story in the book and it is a good reflection of the spirit of the Christmas season. I love stories like O. Henry writes when he just tells a great story and lets the reader be smart enough to draw their own conclusion from it or not. I like that his stories are interesting, thought-provoking and don't make you feel guilty. I was surprised that I was actually familiar with a lot of his stories. I just hadn't read them in his own words. I had heard others try to repeat them and it is simply not the same experience. I will like reading these stories again and again. In my opinion, his storytelling is a gift of magic. Some of the other stories that I really liked from this collection include: The Last Leaf, Transients in Arcadia, and The Purple Dress. This is a wonderful collection of stories and I would recommend reading them, perhaps, during the next holiday season. it's been a long time since I read O Henry. Ironically, I often think of a situation or story and when I go to look it up, I find out it was by him. 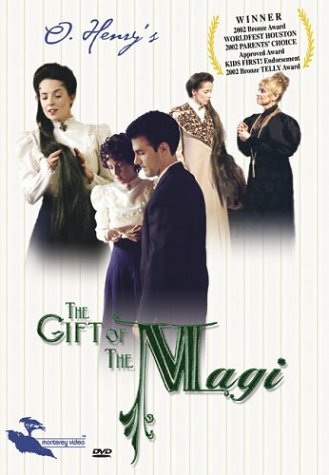 My favorite O Henry story is 'The Skylight Room', but thg Gift of the Magi is certainly lovely. I love the way O Henry shows you the sparkles in the 'unimportant' people around you. I was amazed at how familiar his stories seemed to me too, Amanda. Jason, I like the "sparkles" too! I'll have to find 'The Skylight Room' now to read - it wasn't in the collection I read.